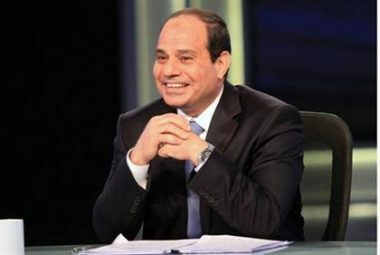 Invitation to President El Sisi of Egypt to address a joint session of the American Congress in the very near future. Free Bishoy Armyia (the former Mohammed Hegazy) from prison where he is held unjustly under false pretenses Egyptian Interim President Adly Monsour General Abdel Fatah Al Sisi, Minister of Defense of Egypt Mohammed Hegazy [now Bishoy Armyia] has been detained in Egypt for allegedly inciting ‘sectarian strife’. Sources are concerned he may be tortured. Dear Asharf Ramelah, Since the introduction of Sharia law in northern Nigeria in 1999, religious violence has resulted in the death of 12,000 Nigerians, the displacement of thousands more, and the destruction of places of worship and private property. We, the undersigned, resolve that the right of all individuals to freedom of thought, conscience and religion or belief is fundamental to achieving true democracy. This right is articulated in Article 18 of the Universal Declaration of Human Rights and the International Covenant on Civil and Political Rights.